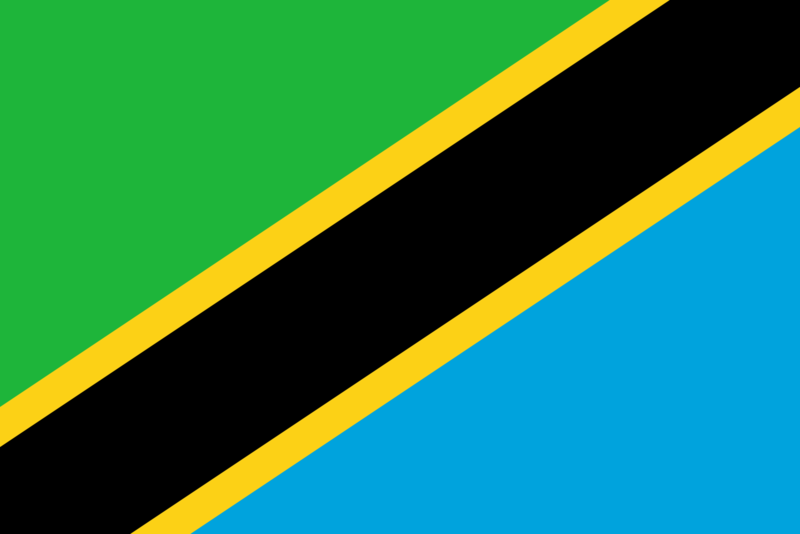 The national flag of Tanzania was adopted in 1964. It derives from the flag of Tanganyika and the flag of Zanzibar. The national flag of Tanzania is divided diagonally by a black band with yellow ribbons in the lower corner. The upper triangle is green and the lower triangle is blue. There is also a meaning of colors of national flag of Tanzania. The colors of the flag have been specified by the Planning and Privatization department of the office of the President of the United Republic of Tanzania. The green color symbolizes agriculture; the blue, the Indian Ocean; the yellow, the mineral wealth; and black, the color of the majority of the population.